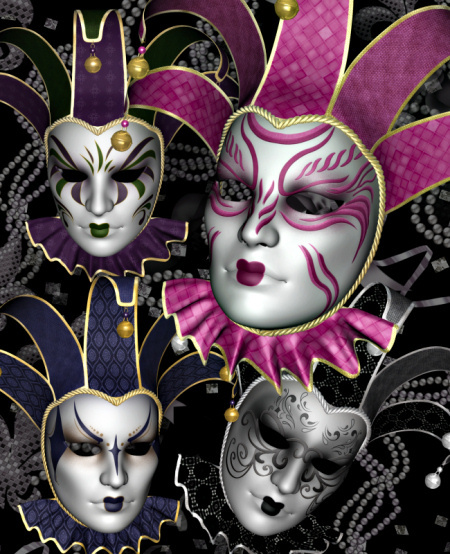 Mardi Gras mask graphics with an aura of the zany mystique that the celebration holds. Add an air of festive mystery to your Carnivale designs. 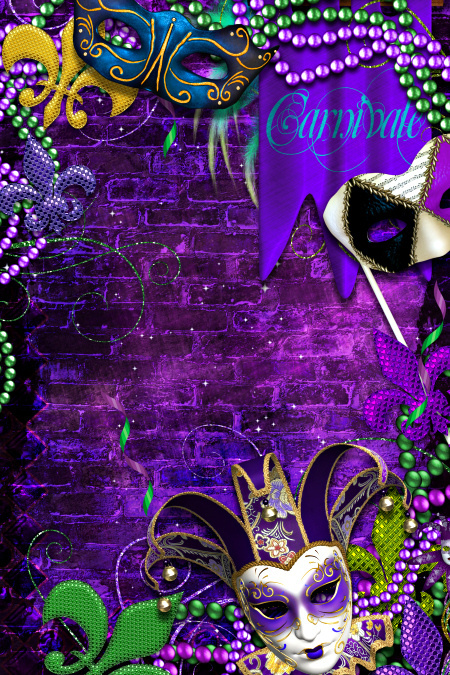 Stunning Mardi Gras backgrounds. Bold, colorful, and perfect for your Carnivale designs. 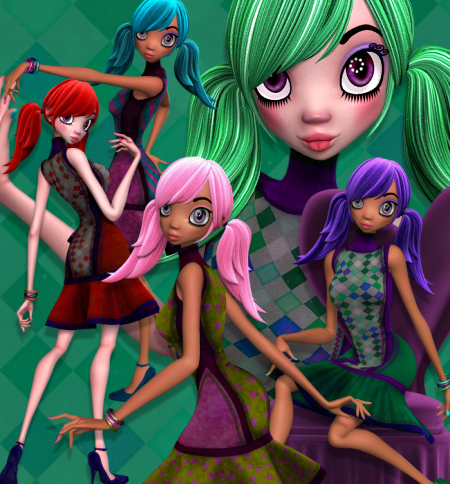 Pretty Party Girl Graphics, some bold and colorful ladies with some special flair. Great for Valentine’s Day, Mardi Gras, or any springtime celebration. 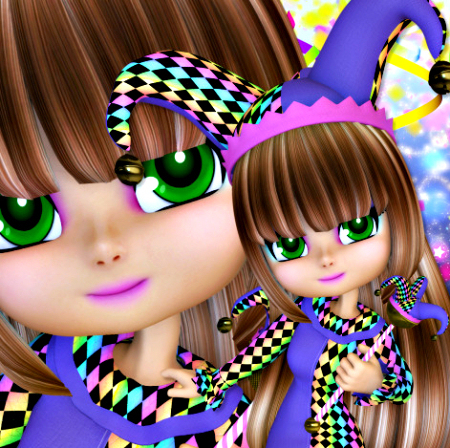 Join the Mardi Gras Day parade with these bold and beautiful Mardi Gras Jester graphics. Perfect for Mardi Gras and Valentine’s Day. 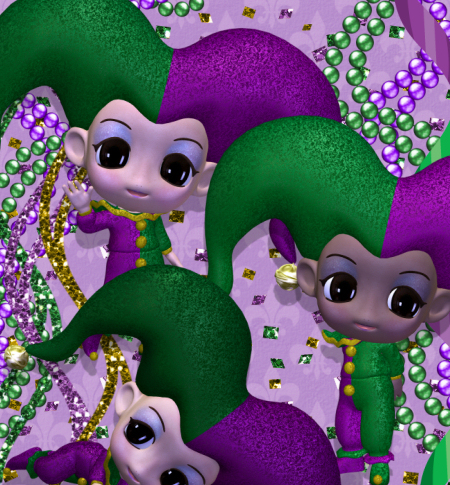 A collection of adorable little Mardi Gras Jesters in traditional colors of purple, green, and gold suits to add some cheer to your Mardi Gras celebration. Make it a memorable occasion with this collection of adorable court jester graphics. 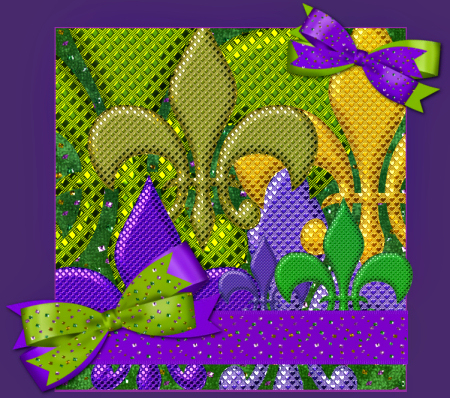 Festive fleur-de-lis images, along with Mardi Gras ribbons and bows, just in time for Mardi Gras. These elements would be perfect for any carnival design or as embellishments for a scrapbook. 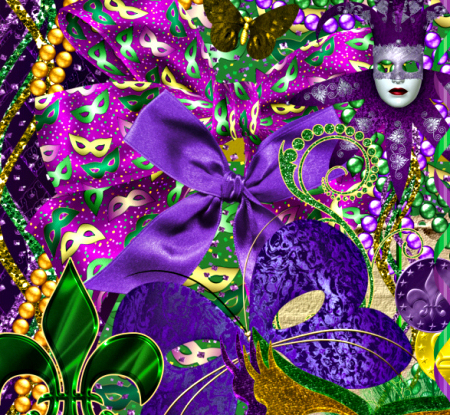 Mardi Gras Royalty Graphics, a treasure trove of Mardi Gras graphics with thrones, golden crowns, scepters, headdresses, bows, and much more. 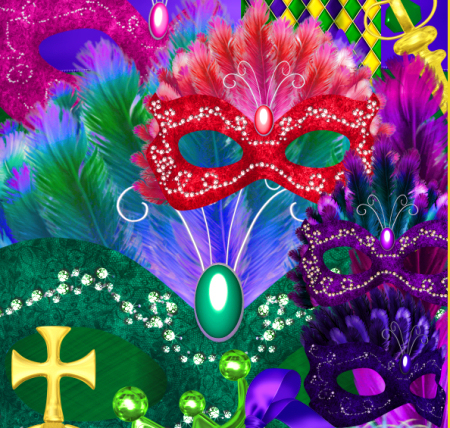 Dress up your Mardi Gras designs with this “Krewe” of Little Jester Graphics. They’re ready to party and are here just in time to celebrate Fat Tuesday. Mardi Gras Carnivale Scrapbook Kit, 250+ Mardi Gras’s Day scrapbook elements. A collection of masks, bows, sparkling beads, and more. Celebrate Carnivale in style.